Beats by Dr. Dre Mixr On-Ear Headphones - Red. Shipped with USPS Priority Mail. Beats by Dr. Dre Mixr Headband Headphones - Green. Shipped with USPS Priority Mail. 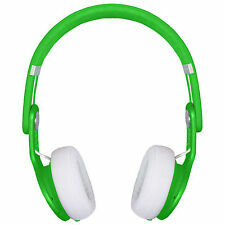 Beats by Dr. Dre Mixr Headband Headphones - Green. Condition is New. Shipped with USPS Priority Mail. These are "limited edition" gold mixr headphones for sale. They were my sons & he doesn't use them anymore. Who ever wins these won't be disappointed. CONNECTIVITY: WIRED. On the right side of the order it will say more actions. You can upload as many as 10 photos (PNG, JPEG, BMP, or GIF; max size 5MB). Unless Stated Otherwise. General wear but nothing serious. Both audio inputs work and comes with everything pictured. Not 100% sure if this is the original cord but it works as well. Beats By Dr.dre Mixr Headphones Red color 100% authentic !!!! Beats by Dr. Dre Mixr On-Ear Headphones - Red. Made for iPod,iPhone,IPad. Beats by Dr. Dre Mixr On-Ear Headphones - Red. Made for iPod,iPhone,IPad.. Shipped with USPS Priority Mail. 4.5 out of 5 stars - Beats by Dr. Dre Mixr On-Ear Headphones - Red. Made for iPod,iPhone,IPad. 31 product ratings31 product ratings - Beats by Dr. Dre Mixr On-Ear Headphones - Red. Made for iPod,iPhone,IPad. beats mixr headphones. Shipped with USPS Priority Mail. Condition is Used. Beats Mixr. Designed to be heard over parties. Made for pros warming up the party. Beats Mixr on ear headphones. One year and thousands of prototypes later, we’re proud to present one of the lightest, loudest headphones ever. Beats By Dr. Dre David Guetta Edition Mixr On Hear Headphones. Condition is New. Shipped with USPS Priority Mail. • Beats Mixr Wired On-Ear Headphones. The headphones have been inspected, cleaned, tested and works great! We have verified the authenticity of the headphones with Beats/Apple. Our warranty covers manufacturer defect ONLY. beats mixr headphones. Condition is Used. Shipped with USPS Priority Mail. Beats by Dr. Dre Mixr Headband Headphones - White. Condition is Used. Shipped with USPS Priority Mail. Brand new non open box!! Scratches and Scuffs On Body(See Pictures). Normal Wear and Tear. Good Condition. Mixr (Beats Mixer)" ! Design And Of The Conventional "Beats By Dr.Dre" Is To Realize The Weight Of The Body As It Is Now Easier To Carry In The Party. 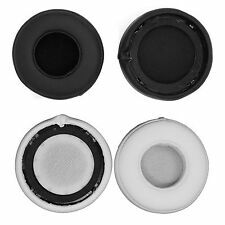 Degree Rotating Ear Cup To Provide A Perfect Fit. beats by dre mixr headphones. Condition is Used. Shipped with USPS Priority Mail. Beats Mixr On-Ear Headphone - Red. Beats Mixr™ On-Ear Headphone. Beats Mixr™ on-ear headphone. David Guetta challenged Beats by Dr. Dre to create the perfect set of world-class DJ headphones. After extensive design research, we created the lightest, loudest headphones ever. Beats MIXR WIRED ON-EAR HEADPHONE 810-00034 SKY BLUE Professional Club Sound DJ. David Guetta challenged Beats by Dr. Dre to create the perfect set of world-class DJ headphones. After extensive design research, we created the lightest, loudest headphones ever. 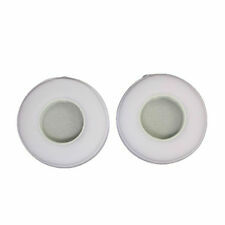 They are in excellent condition I will say like new the sound is unbelievable. Excellent Condition Beats Mixr Neon Blue headphones! Very Lightly used as shown in pictures. These are NOT factory seconds.